FAQ – What is Hypnotherapy? Hypnosis is a state of relaxation and concentration at one with the state of heightened awareness induced by suggestion. It is a natural trance state, like daydreaming, when the mind is relaxed and focused, where time passes very quickly, accompanied by good feelings of deep relaxation of mind and body. 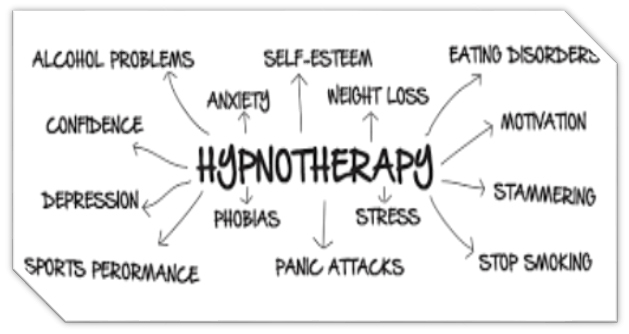 Hypnotherapy is a treatment that is based on the premise that the mind and body do not work in isolation. By sending the patient into a hypnotic state, the therapist aims to trigger the body’s mental and physical self-healing processes that lie in the subconscious. Anybody can be sent into a hypnotic state; it is not a sign of gullibility or suggestibility on the part of the patient. Hypnosis induces a state of relaxation and concentration that practitioners claim is a natural manifestation of the mind at work. When undergoing hypnotherapy, patients are conscious and aware, but are open to the power of suggestion. They cannot be induced to do anything against their will. ARE THERE SOME PEOPLE WHO CANNOT BE HYPNOTISED? Everyone is capable of sleep and trance experiences such as daydreaming and can therefore be hypnotised. Hypnosis is a natural phenomenon and even animals are capable of experiencing hypnosis spontaneously. There are some exceptions, such as young children, people with mental difficulties or those with extremely sub-normal intelligence. Psychotic patients are not advised to undergo hypnosis. WILL I BE AWARE OF WHAT’S HAPPENING WHEN UNDER HYPNOSIS? Yes. The word ‘hypnosis’ derives from Hypnos, the Greek god of sleep, but most people experiencing hypnosis are far from actually sleeping. The predominant feeling of most people is that it cannot have worked and they did not ‘go under’. People experiencing hypnosis may appear to others to be asleep, but they can think, talk, open their eyes and respond to suggestion freely. When under hypnosis, people are usually aware of their surroundings and can hear everything going on around them, including the hypnotherapist’s voice. All hypnosis is self-hypnosis, meaning that the hypnotherapist is only a guide or catalyst to elicit the trance experience in the client. The power of hypnosis resides in the client, not in the hypnotherapist. Scientists are not really sure how it works. The autonomic nervous system controls all the automatic functions of the body while we are asleep and it has been proven that words and suggestion can affect the central nervous system while we are awake. Distracting the conscious mind causes a dissociation of the conscious and unconscious mind and is the first step in inducing hypnosis. There are many differing techniques a hypnotherapist can use to put a client into hypnosis. By talking to their clients in a soothing voice and getting them to visualise relaxing and monotonous situations, practitioners are able to send their clients into a state of very deep relaxation where they will still be aware of their surroundings but are very much more sensitive to suggestion. Once the patient has closed their eyes, the hypnotherapist deepens the trance by suggesting to the conscious mind to daydream or relax. While the conscious mind is inactive the subject is likely to respond to all suggestions literally. Positive suggestions are then introduced and absorbed by the conscious mind. When in this state, the patient’s subconscious can be ‘reprogrammed’ to deal with certain feelings in a different way and as such, hypnotherapy is not only very effective in the treatment of phobias, addictions, but it can also reduce stress and alleviate pain. Practitioners and researchers claim success rates of 90% and higher for professionally conducted hypnotherapy, that is followed up with a treatment plan and self-hypnosis tapes. A research project in the UK found that 92% of those who had attended a hypnotherapist would recommend the experience to others. 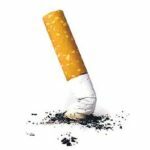 The Irish Institute of Clinical Hypnotherapy and Psychotherapy claim an 80% success rate in treating clients for smoking. WHAT AILMENTS IS HYPNOTHERAPY SUITABLE FOR TREATING? Hypnotherapy is useful for treating a variety of complaints, both physical and mental. Used in conjunction with other therapies, such as psychoanalysis, hypnotherapy can help patients to overcome certain psychological complaints, including Obsessive Compulsive Disorder, depression, phobias, and neuroses. 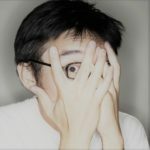 It is particularly useful for overcoming phobias, and ceasing problematic habitual behaviour, like stammering, snoring, smoking, teeth grinding, sleepwalking or nail biting. It can also help alleviate some of the symptoms of physical complaints like allergies, travel sickness, insomnia and irritable bowel syndrome. Used in conjunction with conventional medical treatment, hypnotherapy has demonstrated positive benefits in the treatment of cancer. Hypnotherapy is also useful in providing general health benefits, such as improving posture and digestion, reducing dependence on sleeping pills or tranquillisers, and helping to eradicate stress. WHEN IS HYPNOTHERAPY NOT RECOMMENDED? Hypnotherapy is not generally advisable for mentally disturbed or psychotic patients. Some psychiatric professionals do use hypnotherapy in conjunction with orthodox treatments for patients with such conditions, but always within an institutional environment where other forms of treatment are also available. Patients suffering from schizophrenia, bipolar conditions, suicidal tendencies, senility, alcohol or drug psychosis, pathological personalities or manic depression are generally advised not to undergo hypnotherapy. While hypnotherapy is useful in alleviating mild cases of depression, it is contra-indicated for manic depression and bipolar conditions. It is also contraindicated in some cases of epilepsy. The Irish Institute of Clinical Hypnotherapy and Psychotherapy consider that any organic symptomology should not be treated by hypnotherapy until a doctor has made a diagnosis and recommended hypnotherapy as a course of treatment. Every hypnotherapist has their own way of approaching different symptoms, depending on their training and experience. On average between six and eight sessions might be expected for most ailments, whereas one session may be sufficient to cease smoking. Our sessions to help you become smoke free are individually tailored for you personally to suit your needs and thoughts and you can be smoking free in 90 minutes if you truly want it. 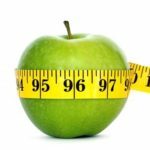 Hypnotherapy is used to successfully help people with weight management issues and takes around 6 sessions to change your whole thinking on why you struggle with weight management. 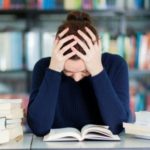 It’s that time of year and the exams are looming and now is the exact time you really don’t need added pressure or exam nerves getting in the way of your future success. Hypnotherapy will help you with ways to deal with those worries in a way that will have you relaxed and calm in the exam hall. Hypnotherapy can bring you back to a place before you had these fears, which are usually dissolved after 1 or 2 sessions, helping you to finally enjoy that family holiday abroad or taking that driving holiday that you have dreamed of for years. POST CATAGORIES Select Category Anxiety Anxiety Case Study Depression Letting Go Mindfulness Orla McKeown Panic Attacks Pre-Talk Robert Doyle The Clinic Weight Management What is Hypnotherapy? So you want to loose weight?